The only headset you will ever need! Trios™ is the only headset you will ever need to connect with any of your devices; PC or Mac, Chromebooks, tablets, smartphones, and media players! The chew and kink-resistant Dura-Cord™ has been uniquely designed to split into the plugs needed to connect to all devices. 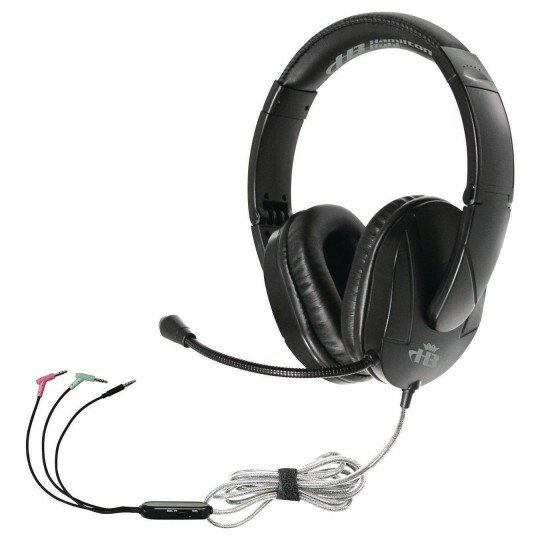 Sure to be your go-to solution from first use, eliminating the need to switch headsets. Features deluxe over ear design and steel reinforced, gooseneck microphone.